A regular reader of Chiperoni.ch has suggested that I add a book list. Yesterday I stopped by at the uni library and browsed thru the marketing section. 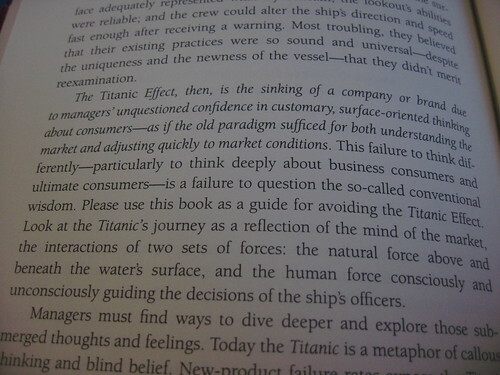 I picked up “How Customers Think” by Gerald Zaltmann. And some pages caught my eye. The 10’000 feet view. “Marketing-Erfolg im Internet” by Martin Blatter-Constantin. 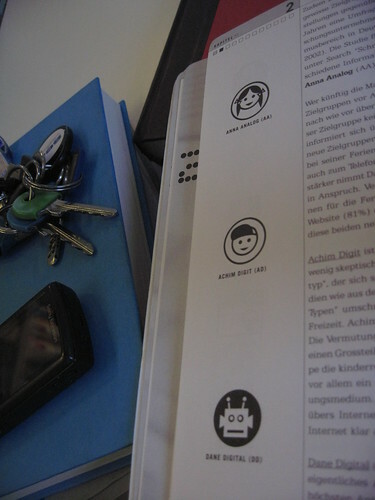 It stood out of the crowd ‘cos it offers nifty black and white icons in the left column. And I liked the fact that it talks about personas from the beginning. 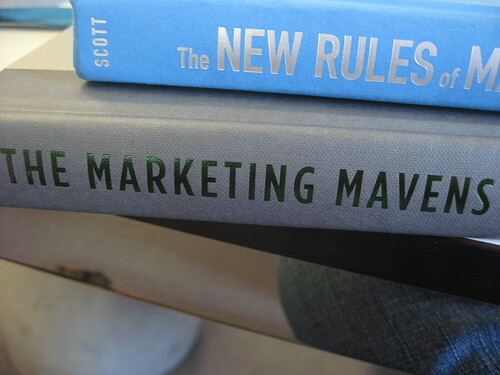 The New Rules of Marketing and PR by David Meerman Scott – a recommended read; I wrote a couple of blog posts here and here. Marketing your Business, A Guide to Developing a Strategic Marketing Plan by Ronald A. Nykel – no opinion yet. 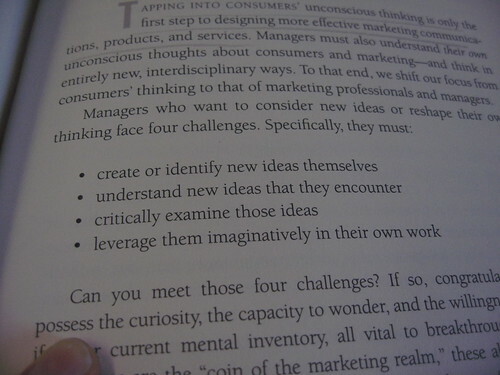 How did you like “The Marketing Mavens” and “How customers think”? 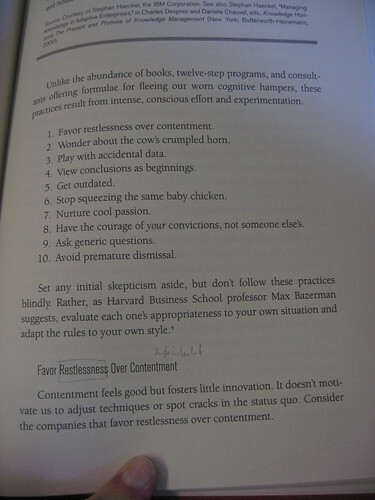 #faintly remembers our book club project of 200-erm-7 and your pic of the “New Rules” in the grass….